...came to the line at 12:33 p.m. Going for the flyer first he hunted the cover area but went out after a small hunt and recovered the bird. He went for bird 1 next and stepped on it. Going for bird 2, he made one small loop at the tree and picked up the bird. 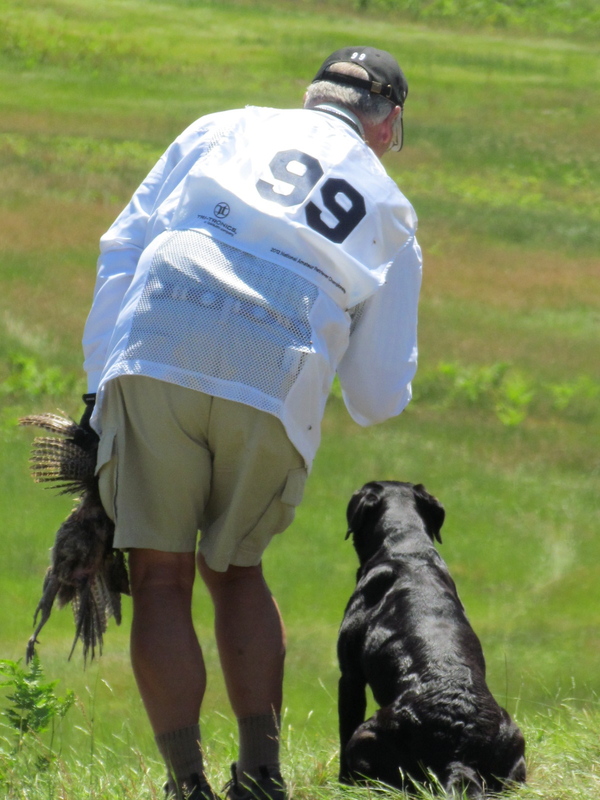 He finished his run with a brief hunt on bird 3 working his was to recover the bird.